Your college hangout gets an upgrade at this newly opened Fort hotspot. Good grub, beer towers, and more. Click for more photos. Like an upscale college hangout or a swanky frat party spot, Craft Pub & Grill’s casual interiors, bright lights, red vinyl booth seats and gray walls provide the perfect backdrop for beer tower nights and endless drinking games. But more than the booze, "Craft is also all about good grub," says Chef Benny Liboro. 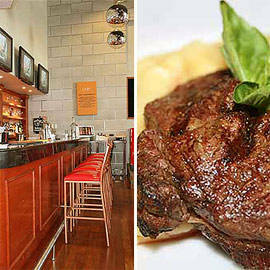 The menu lists big-sized servings of burgers, sandwiches and pizza. Their half-pound "Fat" burgers use US Angus beef and are two-inches thick, while the stuffed burgers come in combos such as Bleu Cheese and Bacon Bits, Aged Monterey Jack Cheese and Mushrooms, and Cheddar Cheese and Bell Peppers. Feeling indulgent? 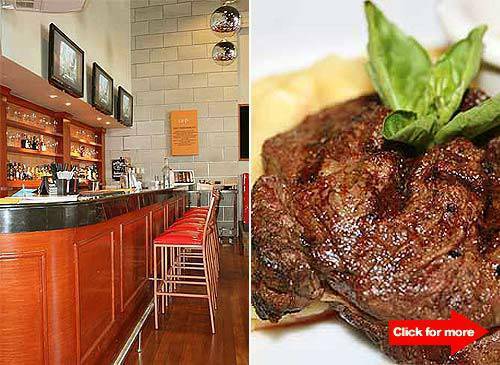 Try the Angus Steak (P475) and the Rib-Eye Steak (P1,495)-they’re hefty pleasers, too. Barely a month old and occupying the former space of a club which blasted out hip hop tunes, Craft plays classic rock n’ roll and alternative music with Johnoy Danao taking the stage every other Wednesday night. Something to look forward to: Craft will be hosting drinking games soon.